Early season fishing had been pretty bad this year, unfortunately we had a long period of cold weather with no rain, which led to very low flows in a lot of rivers here in the south of Sweden. The local river that I fish each spring was severely punished by these low flows, the Danica hatch was very short-lived and we did not see a lot of fish rise to the surface this year, hopefully next years hatch will be better. As summer came along and heated up the northern parts of Sweden and Norway I decided to travel to my parents house and fish a couple of streams with my Dad. 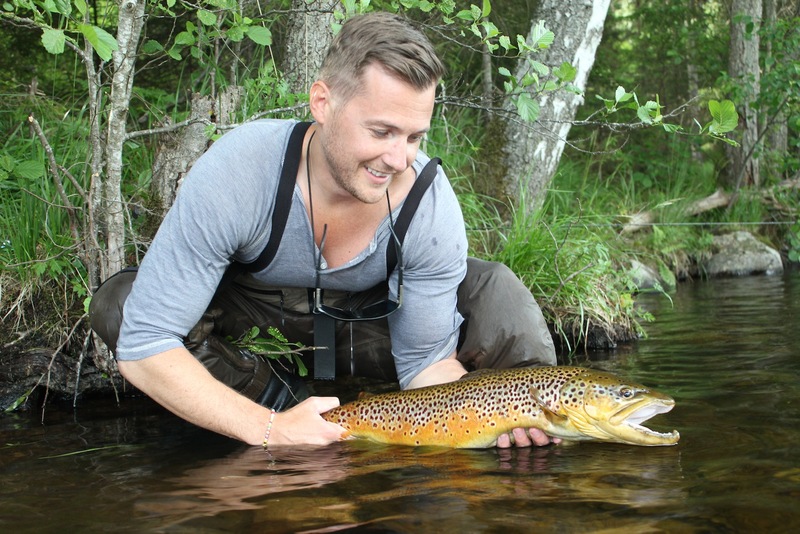 Our first river was located just inside the Norwegian border, on the menu was Grayling and Trout. 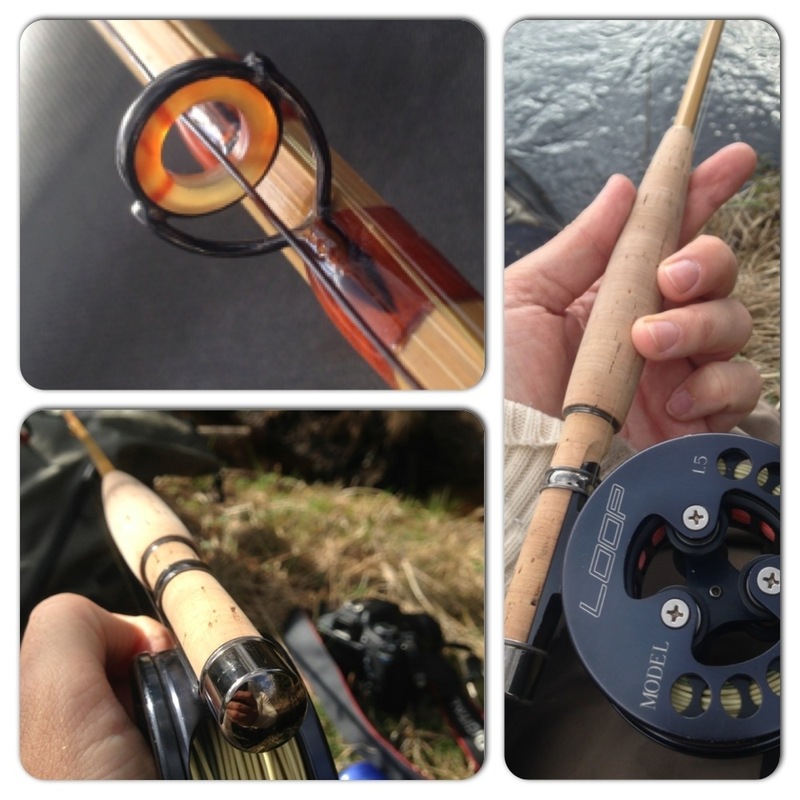 The first couple of hours of fishing had been slow, hardly any risers but as soon as the night fell we found fish constantly feeding from the surface and I landed some surprisingly good fish, all on my newly built Walter Brunner Gebethesroiter Super, 6,5″ #5 Bamboo rod, which made it even more special. A week later I visited a river that had become very special to me and I enjoyed one of the better days of fly fishing this year. I arrived late in the afternoon and decided to have a coffee before I started fishing, as I sat there looking out over the river, I saw a flash of a big tail fin just under the surface. It was a quick look as the fish submerged into the depth again. I finished my coffee as quickly as I could without burning my throat, I tied on a unweighted size 16 may fly nymph and took my place in the river, just downstream of the fish. During the second drift over the fish, I could feel the heavy pull at the end of the fly line. To my surprise the fish decided to bolt up-stream for a couple of meters, the heavy current was not an obstacle. A couple of seconds later the trout managed to snagged itself on something, I started pulling the line tighter and could feel that nothing happened, I was stuck. I started to realise that I might have just lost the biggest trout of the season only to feel the line give way and the feel of a trout pulling on the far end, I shouted out in happiness but the fish would have non of it. Enraged with this defeat he changed his dirty tactics and bolted downstream with me on his tail running down the fast current, at one point I thought I will swim after this fish if needed. I battled the fast current for around 100 meters downstream, were I saw another angler standing in the river, it was an old friend that I had not been able to say hello to yet, as I had only been there for around 15 minutes. As I swished by in the current I shouted out, hows the fishing mate? He laughed and said, well not as good as yours it seems. 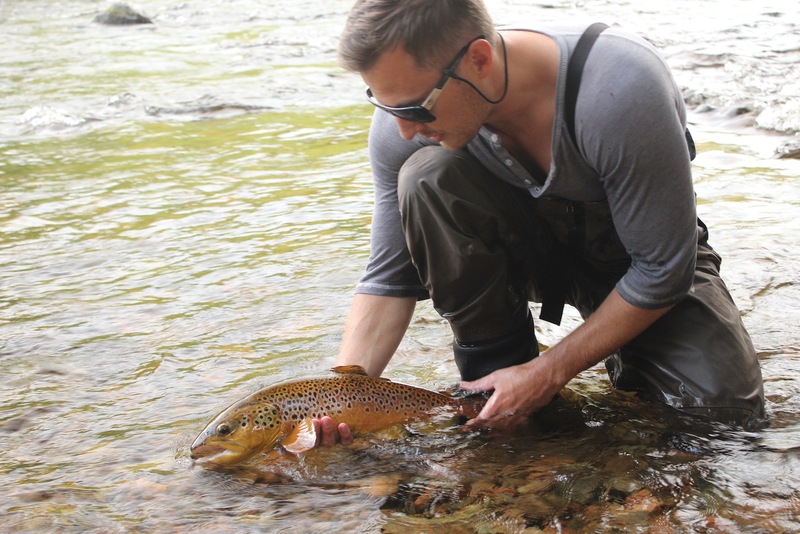 That’s was all the small talk I had time as the fish pulled med further down the river. At this point of the battle he stayed a while in the same area, and for a good reason for a no good fighting dirty trout. He had obviously seen a good spot to snag me on again, and so he did. This time I was certain that the fish would break me off, but once again I managed to clear the line from what ever it was stuck on. Blood taste in my mouth, legs sore and tired after 150 meters of running, falling and floating down-stream I managed to get him into a slow-moving backwater. He was as tired as me when I pulled him into the net and putting an end to this arduous battle . 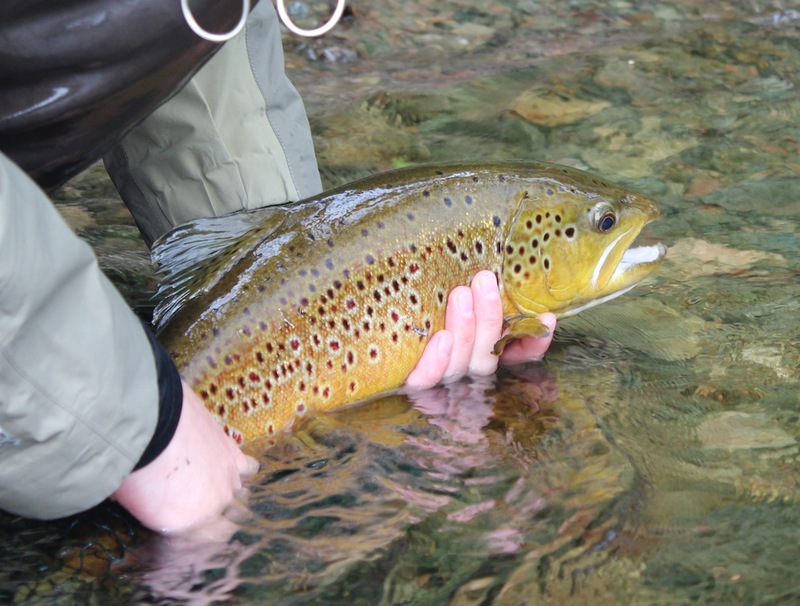 A beautiful Jack with colours that would impress any Hen Trout out there, truly a magnificent trout living up to it´s name and reputation. 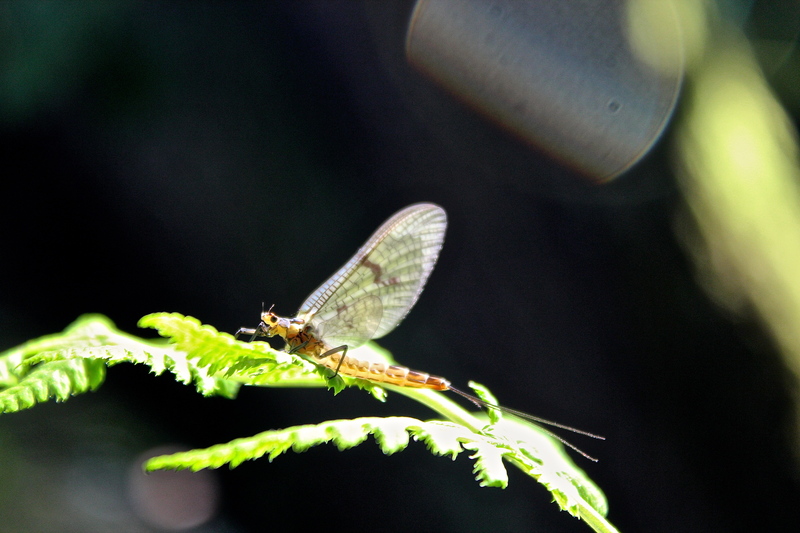 I snapped a few photos and gave him one last look before I released him back into the stream. ← Early spring by the river.